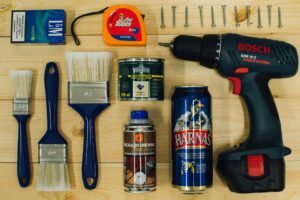 Starting a DIY Home Improvement Project – There are few projects that are as satisfying as the ones that improve your home. Whether you live alone or with your family, your house is perhaps the most important place in your life. However, it can be hard to know where to begin. DIY home improvement projects are a great and cost-effective way to improve the overall value of your home and quality of your life. As is the case with all projects, knowledge is important but equally important is having the right tools for the job. Having the right tools combined with knowing how to use them properly will give you the ability to move forward in your projects confidently. Roof improvements can also be an excellent choice for a home improvement project. Consider choosing white or another reflective color to tile your roof. Darker colors absorb heat so tiles that are lighter in color will reduce the amount of heat that is pulled into your attic. This helps to save you money on your energy bills in the summer. If you have popcorn (not the literal kind) on your ceiling, you can easily get rid of it. The popcorn ceiling look was very popular in the 60’s and 70’s but to many nowadays, it just looks dated. You can find solutions that will soften the texture allowing you to scrape it away. It’s a simple change but it can really bring your house firmly into the new century. There are many step by step instructions on removing the popcorn textures on the net. 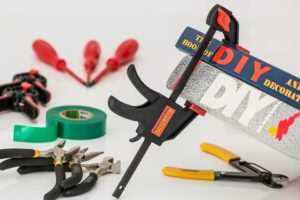 When tackling any home improvement DIY project, you’ll need some basic tools. A standard toolbox should contain the following: hammer, nails, adjustable wrench, vice grips, one interchangeable head screwdriver, a set of Alan wrenches, 3 and 1/2 inch screws, a drill, glue or epoxy putty, a metal file and/or sandpaper, and a handyman belt. These essential tools will get you through most basic jobs and regardless of whether you’re in a project, they’re really good to have. 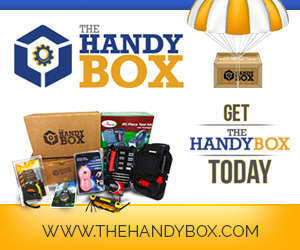 For people who are just getting their feet wet in the home improvement world and don’t have these basic tools, The Handy Box, a monthly subscription of tools and gadgets, is an excellent way to start your collection. Additionally, The Handy Box is just as useful for those who are already handy but want to continue adding to their tool box with qualities tools and gadgets. With this subscription box service, there’s literally something for everyone no matter how handy or “not handy” you are.